Obviously Bob needs a lamp, and this high overhead light meticulously follows Bob’s contours and is mounted on the backrest. 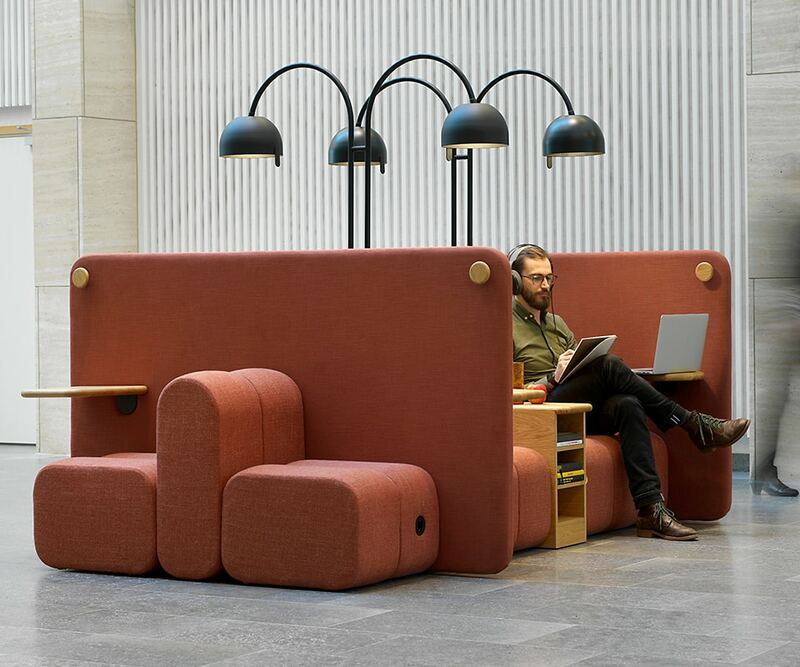 Alongside Bob Job at the Stockholm Furniture Fair we will be launching Bob Light in collaboration with Zero, a space-shaping lighting solution that can be integrated directly into the Bob backrest. 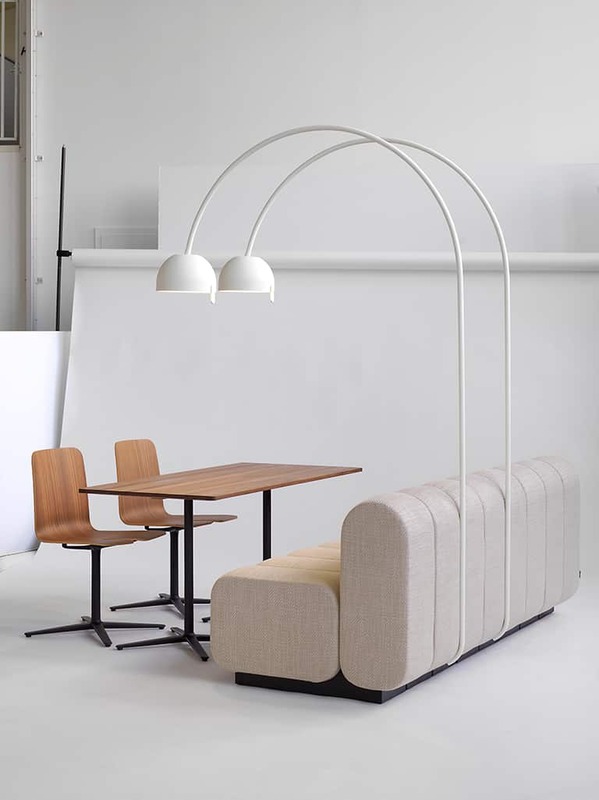 The dimmable LED lamp nested behind the convex diffuser can be pivoted to create intimate and focused lighting. It is also available as a freestanding floor lamp and pendant. 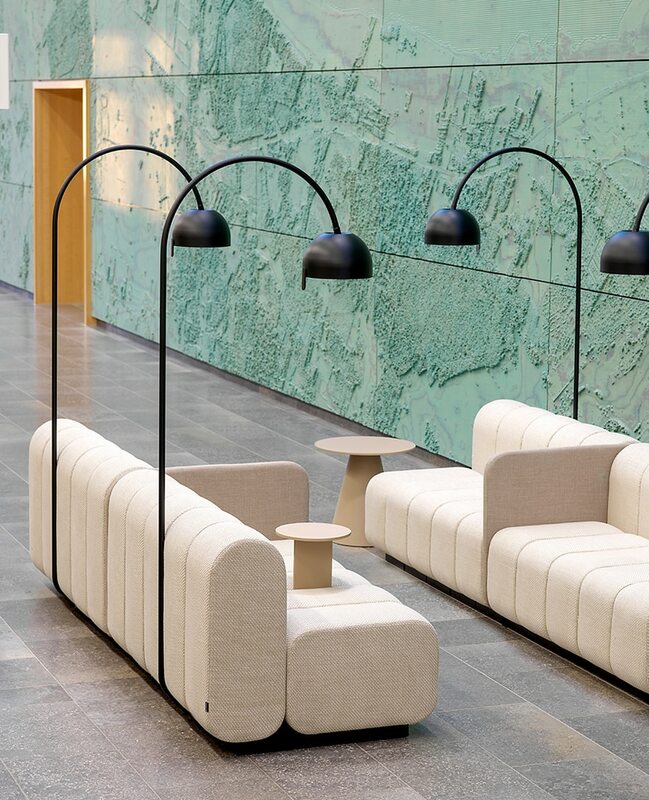 All three designs created for our modular sofa system Bob are available from Blå Station and the freestanding floor lamp and pendant can be purchased from Zero directly.